Is America Shifting on Arming Saudi Arabia? 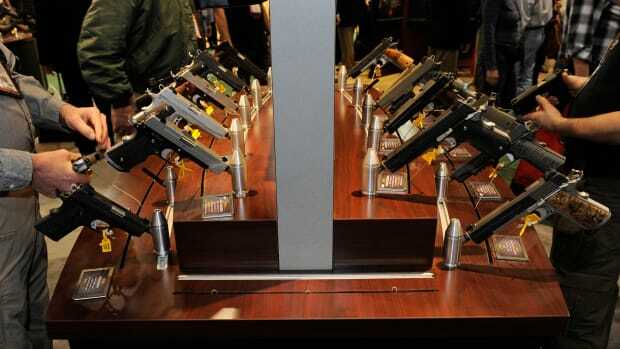 The American government's conscience may be catching up to its arms-supply deals. Will that continue under President Trump? 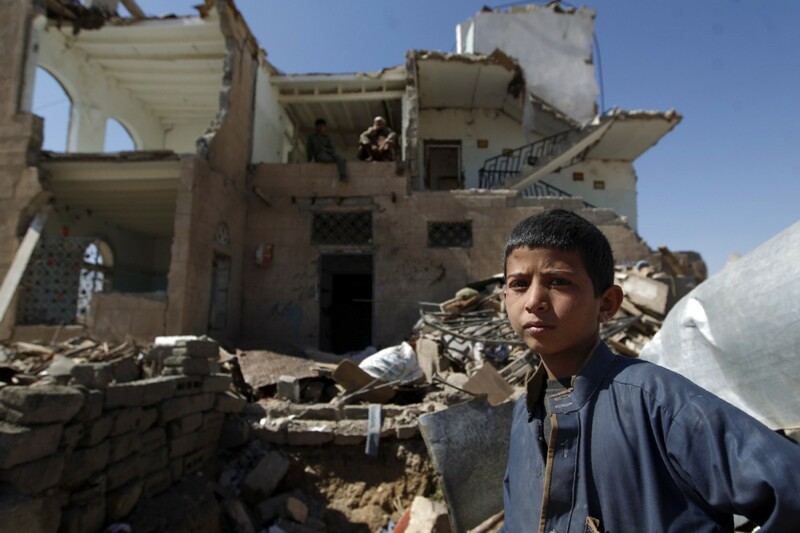 A boy stands near the rubble outside a house destroyed by Saudi-led airstrikes on the outskirts Sana&apos;a, Yemen. In the latest twist in American politics, White House officials reported on Tuesday that they were reconsidering specific arms sales to Saudi Arabia, part of ongoing American support for Riyadh since its intervention in neighboring Yemen in March of 2015. The Obama administration’s newly heightened concern for its role in the ongoing civil war in Yemen, which has killed more than 10,000 people, comes after two years of brutal conflict between the government and Houthi rebels — a conflict that hardened sectarian divisions within the country before drawing in Saudi Arabia and, later, the United States. In May, the White House quietly halted its sales of cluster bombs to Riyadh due to growing criticism on the international stage over its support for the Saudi government in the conflict. The scale of Yemen’s developing humanitarian crisis is staggering. As the United Nations reported earlier this month, 18 million people — 69 percent of the country’s population — are in need of some form of humanitarian aid. As of October, 2.2 million Yemenis remain internally displaced. The U.N. also noted that 14.1 million people are considered food insecure in the country, while 19.4 million lack safe drinking water or sanitation. The Saudi-led coalition’s naval embargo, which came amid fighting between the government and rebels for control of the country’s ports, has only made the situation worse. This review seems to have finally come to a head. This week, one Obama administration official stated that “systemic, endemic” problems in the Saudi air force’s conduct in Yemen, including its use of precision-guided munitions, had prompted Washington to delay a future multimillion-dollar deal that included such arms. 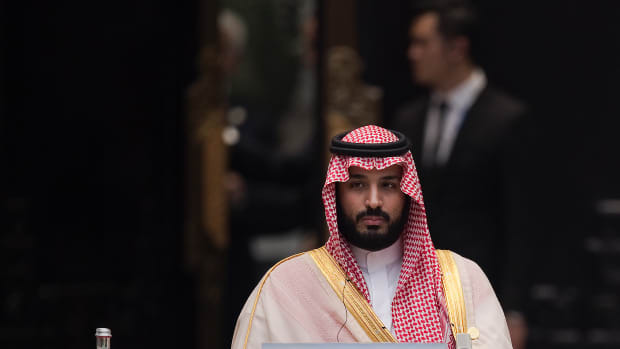 The move was “obviously a direct reflection of the concerns that we have [about] Saudi strikes that have resulted in civilian casualties,” an official said to Reuters. But whether a particular bomb is “dumb” or “smart” — that is, whether it is unguided or guided — does not lessen its inherent lethality. Despite the U.S. government’s intent to improve the accuracy of Saudi airstrikes and minimize resultant civilian casualties by providing Riyadh with smart bombs, even those weapons have still struck the wrong targets. Whether a particular bomb is “dumb” or “smart” does not lessen its inherent lethality. The Obama administration’s decision on smart bombs is unlikely to have an immediate impact on the ongoing conflict in Yemen. “I think it’s a signal, but too weak of a signal,” William Hartung, a director at the Center for International Policy, told Reuters, speaking on the administration’s shift. “As long as [the U.S. is] going to [be] refueling aircraft, which is central to the bombing campaign, it’s hard to see that they’re using all the leverage they have.” Notably, the U.S. will continue to provide training and intelligence support to the Saudi military, and will not stop all arm sales. In a CIP report in September, Hartung wrote that, by his tally of data from the Pentagon’s Defense Security Cooperation Agency, the Obama administration has offered a more than $115 billion worth of weapons equipment and training through 42 different deals since 2009 — the most of any administration in the decades-long history of the two countries’ alliance. 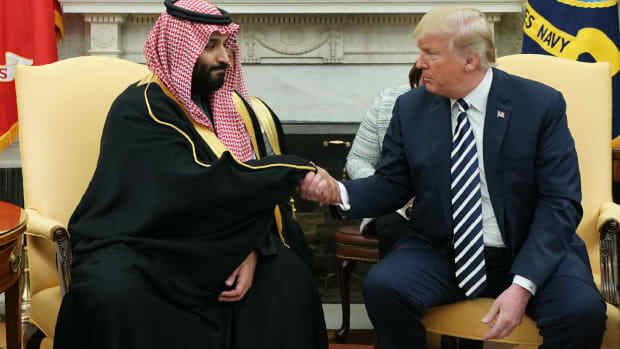 Given the time lag between a particular deal’s offering, negotiations, order, and eventual delivery, each transaction may be a multi-year process, meaning Donald Trump’s incoming administration will be engaging with the Saudi government on these sales for years to come. But the positive diplomatic language of the DSCA statement doesn’t acknowledge that the reality of the U.S.-Saudi relationship is far from harmonious. 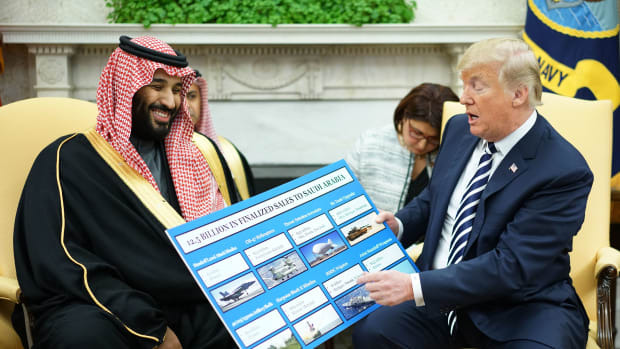 And even if the U.S. government continues to have reservations about providing cluster munitions and other weapons technology to the Saudis after particularly egregious incidents, it’s still demonstrated that multibillion-dollar military deals will go on. In one week in September, for instance, Congress at once paved the way for its eventual override of President Barack Obama’s veto of the Justice Against Sponsors of Terrorism Act — which gives the families of 9/11 victims the ability to sue the Saudi government for its alleged collusion with the al-Qaeda attackers — while also defeating an attempt to stop a $1.15 billion military-equipment sale to that same government. The incoming Trump administration’s emphasis on brokering transactions and deals — including its clear preference for a more amicable relationship with Russia, despite Moscow’s own demonstration that its geopolitical objectives in Syria and Ukraine outweigh the human costs of pursuing them — may also color its view of the U.S.-Saudi relationship. Trump’s grasp of foreign policy issues, particularly in the Middle East — he was once unaware of the difference between the Kurds (the largest stateless ethnic group on Earth, spread across Turkey, Syria, Iraq, and Iran) and the Quds Force of Iran’s Islamic Revolutionary Guard Corps — and his dismissiveness toward American intelligence services don’t exactly bode well for the complexities and regional implications of the Yemeni civil war. With Trump’s own stated skepticism of U.S. commitments to multilateral institutions or international missions, Yemen presents a litmus test for the incoming president-elect. Yemen may turn out to be yet another distant country of limited concern, to be handled by an American ally instead. And given the hawkish stance toward Iran among Trump’s advisers, including incoming national security adviser Michael Flynn, Yemen could also be seen as a front to counter Iranian influence in the region. What’s worrisome about Trump’s transactional, quid pro quo approach to foreign policy is that his administration could feasibly view arming the Saudis as an easy moneymaker and gesture of goodwill to boost the U.S.-Saudi relationship and secure future deals, all while remaining detached from their humanitarian impact in countries like Yemen. Trump, after all, won the presidency by promoting himself as the ultimate dealmaker, not as an impassioned humanitarian. 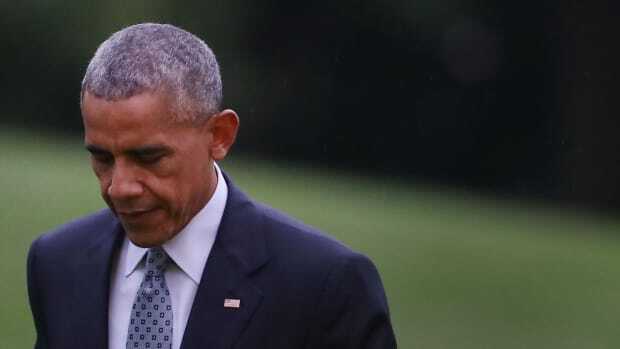 Now, in the last month of its term, the Obama administration’s reaction to the suffering inflicted by its major ally may prove to be too little, too late. 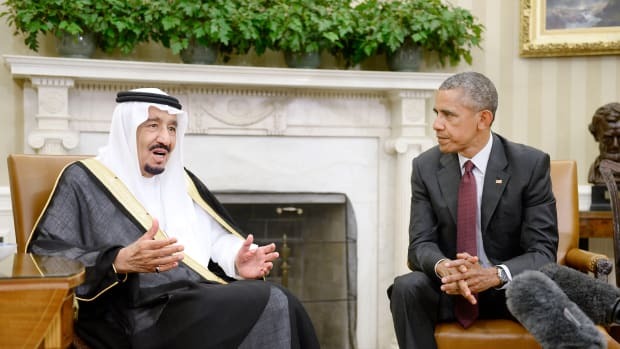 How Will JASTA Affect America’s Relationship With Saudi Arabia?